HAPPY BOOK BIRTHDAY TO BLACKFIN SKY! 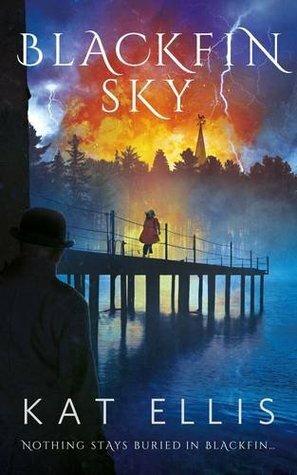 Today is the UK release of Kat Ellis’s Blackfin Sky and let me tell you, I’ve been waiting for this book FOREVER! While today is just the UK release (US release is in September), you can still get a paperback copy (UK version) through Amazon UK. Be sure to add this one to your TBR list, folks. I promise, you won’t be disappointed. This entry was posted in Book Spotlight and Review and tagged book review, critique, fiction, publishing, writing.